Kew Organic Gin was created by the London Distillery Company, the makers of Dodd’s, in partnership with The Royal Botanic Gardens in Kew. The result is floral, fresh and deeply aromatic. A true testament to the beauty of Kew Gardens. 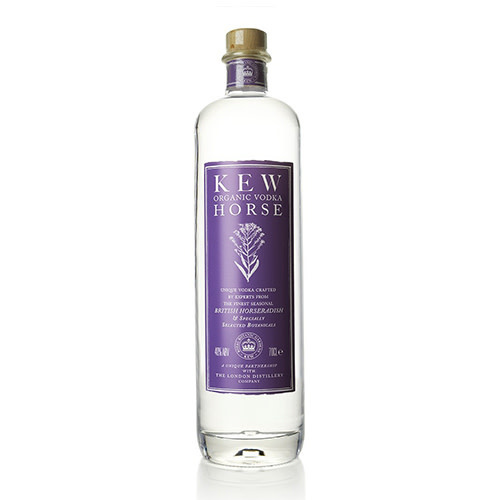 This unique vodka has been crafted by experts from the London Distillery Company, using horseradish and specially selected botanicals. On the palate you will taste the warming horseradish, along with a hint of citrus spice and some nutty undertones.